The Henley Regatta is a fine British tradition honoring the greatest crew teams, bringing in teams from different countries to compete on the water, and on land. Dating back to 1839, high society has flocked to the event, eager to show off their fashions in their very specific dress code. Women flaunt full-length dress, only daring to go as high as below the knee, with straw hats, and gentlemen show up in very festive blazers, becoming the icons of Henley Regatta fashion. The original blazers started off as solid colors to distinguish rowing teams for on-lookers, tracking their team’s progress in the races. The trend eventually transitioned to color-blocking patterns and stripes, creating “the bolder-the better” base line. Americans were one of the first countries to catch onto this trend in the 1920’s. Ralph Lauren, one of the primary American team blazer sponsors, is proud to assist in cultivating the “preppy” style we know so well today. 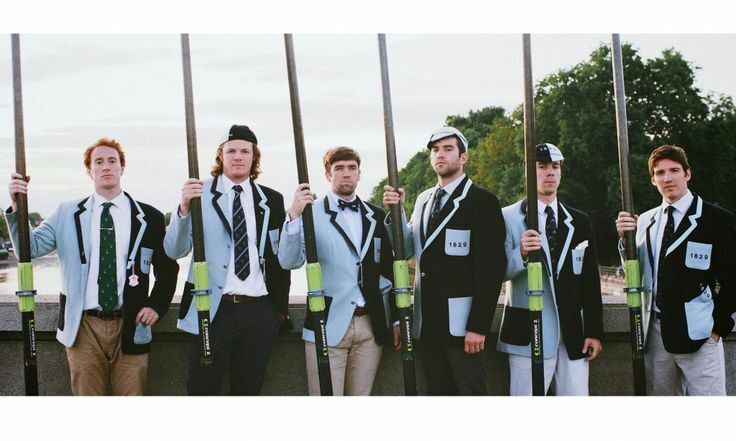 The company emulated the original Ivy Leagues that began the regatta tradition Oxford and Cambridge, creating a popular market for vintage rowing blazers. Those who are not as fortunate to own an original are able to duplicate the aesthetic in their current teams via custom suit shops. 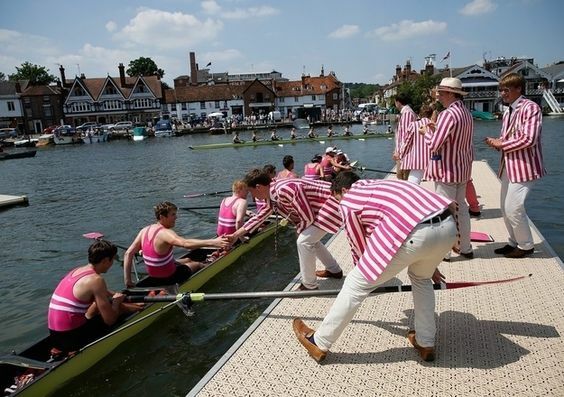 Every few years, 9tailors is a proud participant in the Henley Regatta via local universities. Boston teams tend to keep things a bit classier and not quite as aggressive as European parties, maintaining a Ralph Lauren preppy aesthetic than pushing the boundaries, per se.